Categories: angry pear | Tags: angry, angry pear, angry swmming, annoyed, cartoon, comic, drawing, fruit, humor, illustration, Pear, pool, swmming | Permalink. 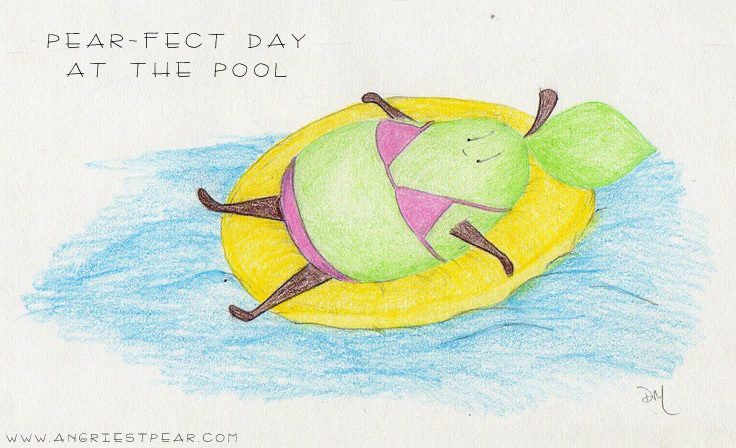 Categories: angry pear, Seckel Pears | Tags: angry, angry pear, annoyed, comic, drawing, fruit, humor, illustration, Pear, Pear people, pears swimming, pool, seckel pears, summer, swim, water, water slide | Permalink. 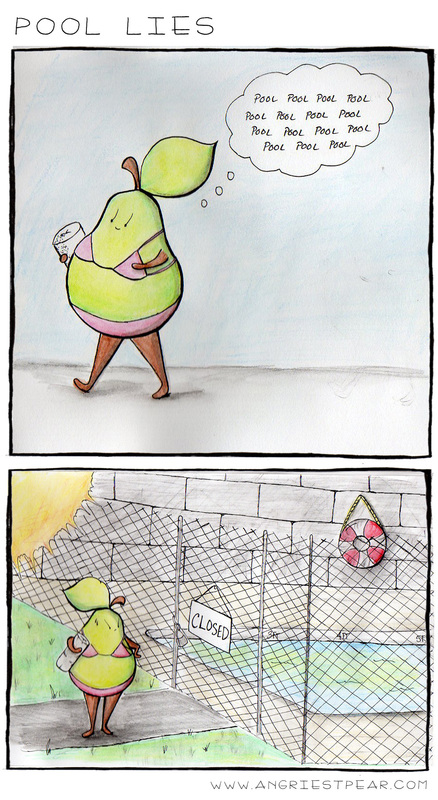 The heat and humidity in my non-air-conditioned apartment has seriously hampered my ability to draw pears lately. Also, I’ve been spending most of my free time at the public pool. So, I am posting a some of my favorite drawings / comics about Summer from previous years. Some are single panel and others are longer, so click on the links to see the full posts! Enjoy! 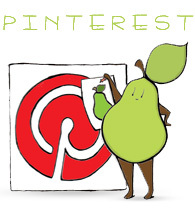 Categories: angry pear, pear people | Tags: angry, bikini, cartoon, comic, drawing, food, fruit, heat, hot, humid, humor, illustration, little pool, Pear, pear peopl, pool, public pool, shopping, summer, summer cocktail, swimming, too hot | Permalink.